The ideal all-rounder with PLUS-level comfort. 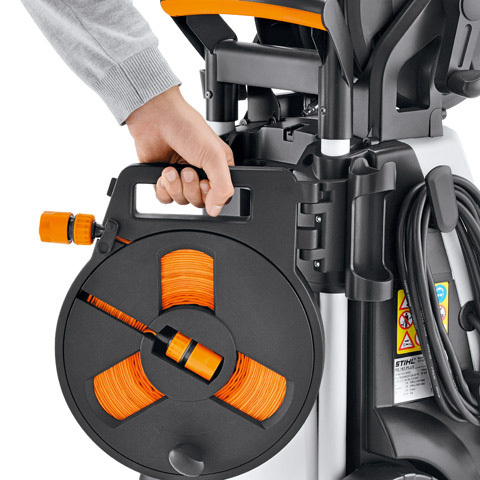 Hose reel with 12 m steel-reinforced high-pressure hose, flat textile hose with holder, brass pump head, pressure/ flow control, pressure gauge, detergent tank and metering. 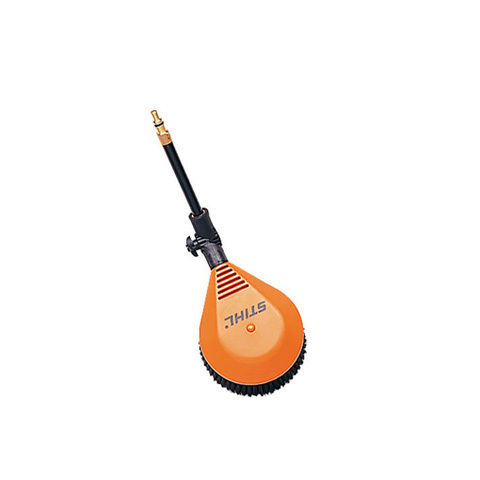 For easy adjustment of the flow of water and the operating pressure to suit the cleaning job in hand. 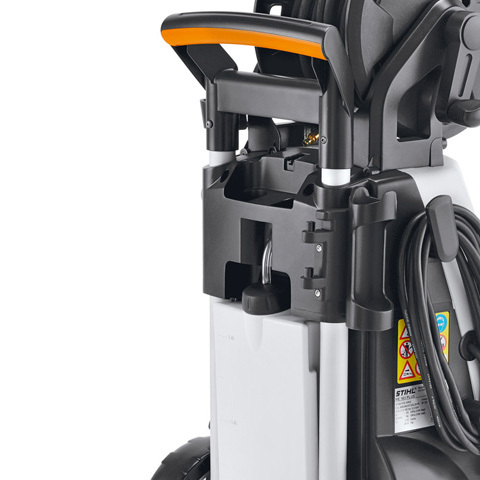 The adjustable aluminium telescopic handle and practical aluminium transport handle make carrying and transporting the high pressure cleaner easy. 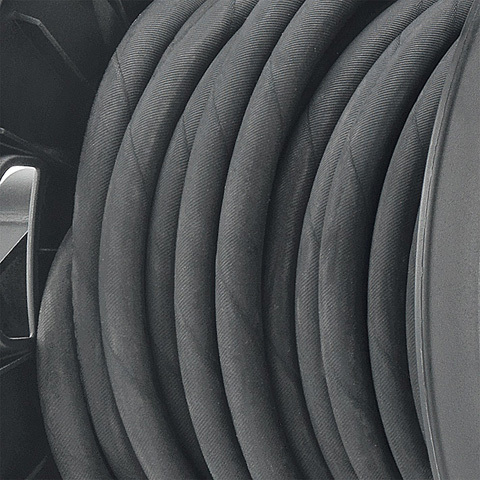 The high pressure hose is reinforced with steel mesh making it very robust and ideal for use in tough conditions. 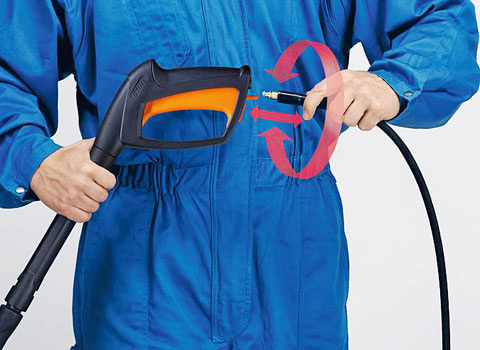 The innovative quick-release coupling connects and disconnects the lance and high pressure hose pipe in a flash, without tools. 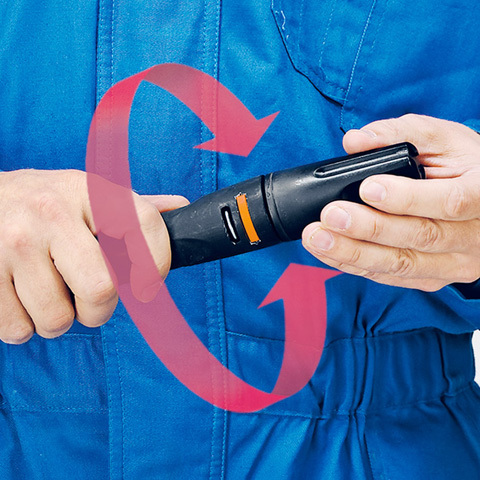 The compact nozzle system with extremely robust bayonet coupling makes changing nozzles faster and simpler than ever before. 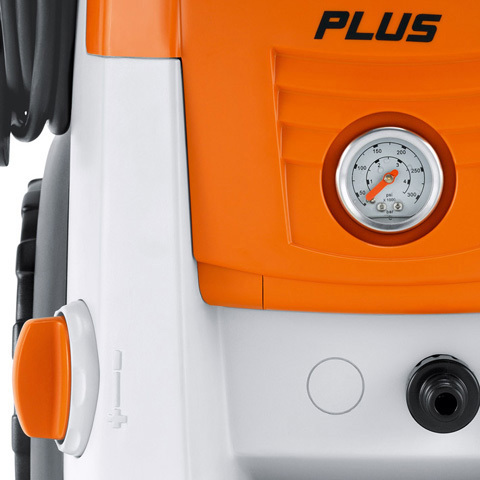 The hinged detergent tank on the back of the pressure washer saves space as it is integrated into the housing of the pressure cleaner. To fill up with detergent the tank can be folded out or completely removed e.g. when you wish to wash the device. 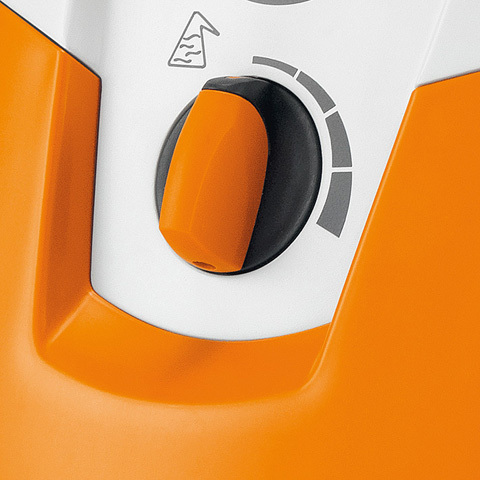 The suction of external cleaning agents, for example from a canister placed next to the device, is possible as with previous models. 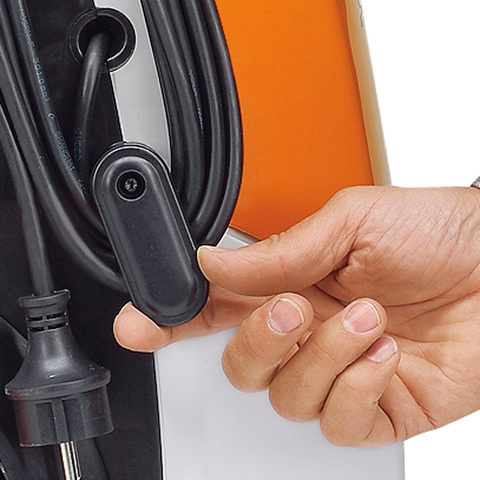 With the metering system, detergent can be added to the spray jet from an internal or external tank. 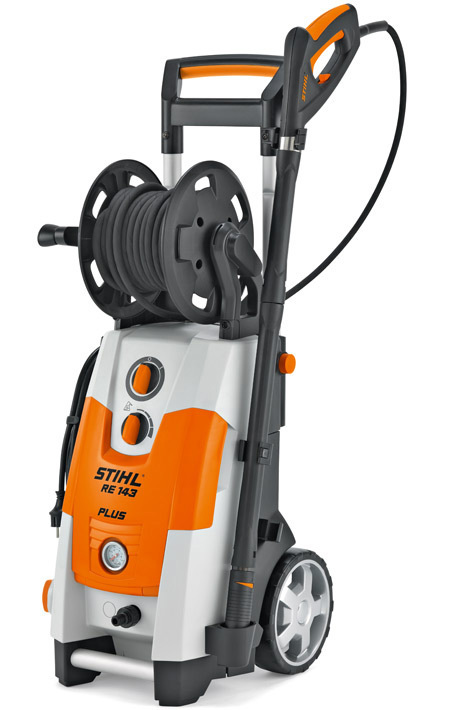 With the variable pressure fan jet nozzle, larger areas are cleaned quickly and effectively, with control over the pressure to suit different tasks. 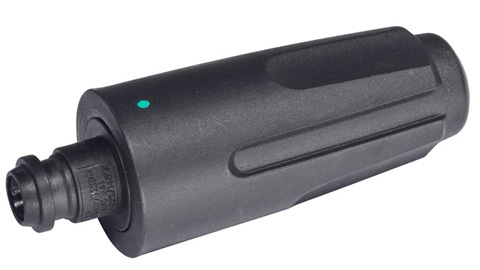 Rotating inner brush, Ø 160 mm, adjustable working angle. For RE 98 - RE 143 PLUS. Recommended to use in combination with the spray lance extension 4900 500 0303.